Sustainability and Green Jobs are a growing industry that is taking the country by storm. 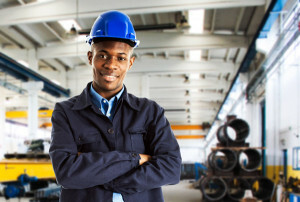 This industry possesses a heterogeneous workforce that performs a variety of different functions, ranging from engineering to industrial management. However, all of these careers focus on providing sufficient amounts of energy for today's world without undermining environmental integrity or draining future resources. Though the words “sustainability” and “green” often invoke the idea of environmental scientists, this narrow view does not accurately represent the diversity of the field. While these scientific careers are certainly part of the industry, there are many other options for those seeking a Sustainability job or Green profession. 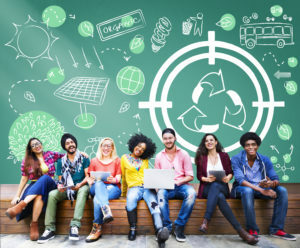 In fact, many Sustainability careers are often focused on helping organizations and companies run more efficiently, thereby increasing their profits, pleasing their customer base, and creating a sense of well being among the community. The employment conditions in Sustainability careers and other Green jobs vary considerably from position to position. Because this industry addresses a diverse amount of issues, one Sustainability worker may work in an office, while another may work in a more industrial environment, while yet another may spend the majority of their time outdoors. For example, a Director of Responsibility would work in an office, overseeing a corporation's approaches to the environment and energy consumption. On the other hand, a soil and plant scientist may spend a great deal of time out in the field, enduring adverse weather conditions as they monitor soil PH levels and discover measures to prevent soil pollution. If you're looking for a field that offers diverse options, then sustainable careers and Green jobs may be a perfect place to look. Though the outlook of each career path will vary, on the whole, Sustainability careers are growing rapidly. 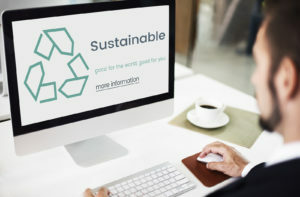 Sustainability is a burgeoning industry that is growing as technology advances and the world's usual natural resources become more and more scarce. Green jobs and careers in Sustainability are also beginning to replace jobs that once existed in now-dead industries, resulting in a rapid growth rate. Use the search box below to find all the sustainable and green job listings in our job board. Find you green job now! There are many different career options in the Sustainability and Green Jobs industry. The diversity of this field makes it incredibly flexibility, allowing people from many different backgrounds and education levels to find their home here. A MS in biotechnology degree is great place to start your research or simply a sustainability degree. Agroforestry is a new system of forestry, blending agricultural practice (growing plants for crops) in amongst tree or shrub cover. 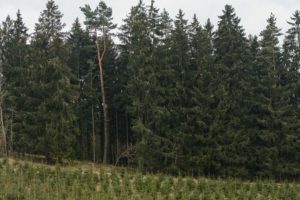 They system is designed to create a more sustainable and ecologically friendly system of managing both woodlands and agricultural crops. Agroforesters design and implement systems of agriculture, selection trees and plants that complement each other in each parcel of land. An example of this is improving coffee quality and yields through shade growing beneath trees. Air Quality Forecasting is a subdivision of meteorology. 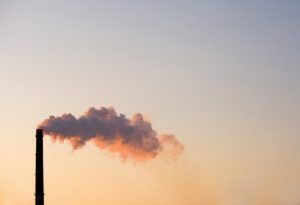 Rather than looking at natural weather patterns in the environment, they examine pollution levels and predict the impact they will have on the air. Often working with meteorologists, they provide smog forecasts amongst other data. Other areas they may work is with EPA and other government bodies. They may work developing models to enhance accuracy and quality of forecasting, or in education teaching children and adults about the importance of air quality and control of substances potentially damaging to public health or the environment. 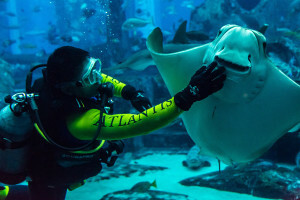 Aquarists care for marine life and sustain the exhibits at aquariums in many different capacities such as feeding the animals, interacting with them, cleaning habitats, maintaining machinery, designing exhibits, and educating visitors. Sometimes they may be required to perform fieldwork, traveling to particular areas and collecting specimens. Overall, this job is incredibly multi-faceted and relies heavily on work experience and area of specialty. Most Aquarists have a bachelor’s degree in marine biology or other related field. In addition, they typically have a scuba diving and CPR certifications to help them with any emergency situations they may encounter. Aquatic Biologists are specialists who work with biological life that lives in wetlands, ponds, streams, lakes and rivers. They differ from a marine biologist in that they also examine and study fresh water ecosystems. Marine biologists deal solely with ocean life. Aquatic Biologists can work in many areas. Some work in conservation, pollution monitoring and management, species protection and water composition. 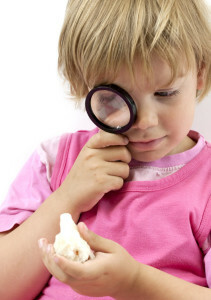 They may also study fish, plankton, invasive species (animal and plant), in education (corporate and schooling). With a specialization in Aquatic Biology, many doors will be open to you. 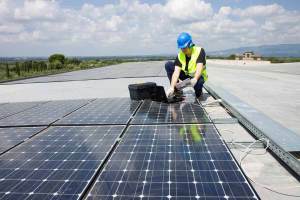 In the race towards sustainability, a number of green jobs have arisen in the last few years. One of these is that of Biofuel Production Operator, working at factory sites to ensure smooth running and quality assurance. 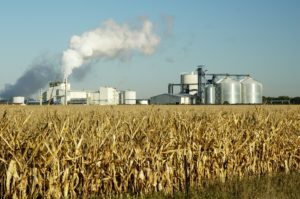 Biofuels are produced in a number of ways, mostly in the same way as food produce in agriculture. Yet this material cannot be used straight out of the ground. We need technologies and a place to process that raw material into a usable biofuel. 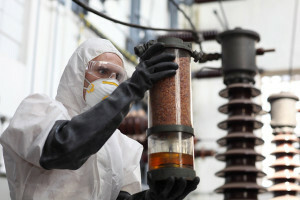 Biofuel production occurs in factories and other facilities. As this is an industrial material, it requires quality checks. About 250,000 new products are launched globally each year, and a lot of manufacturing, raw materials, and industrial waste go into making all those shiny new products. 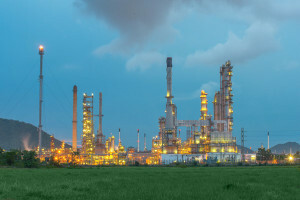 Chemical engineers design and monitor manufacturing processes that involve chemical reactions. They use their expertise to make those processes less wasteful and safer for the environment. They also figure out how to design processes that consume less energy. Since industrial processes use a lot of electricity, chemical engineers play an important role in creating a sustainable future. A Director of Sustainability, also known as a Chief Sustainability Officer, is a high-level corporate role concerning the organization’s sustainable practice. This is a relatively modern role created to ensure that the organization keeps up to date with law, regulation and recommended practices based on customer expectations on environmental health and safety. 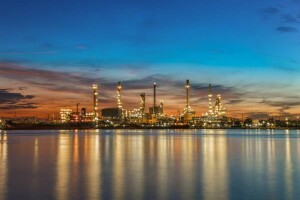 Their role involves monitoring the environmental impact of their industry and their business as well as ensuring compliance organization-wide through policy and ultimately improve performance. Ecotourism is a growth area of the global travel experience. There is a desire to travel and a desire to do so in an environmentally friendly way. 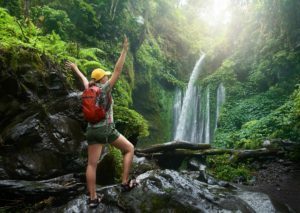 An ecotourism guide is essentially a vacation tour who organizes trips and talks to talk about local environments, ecology, how to be an environmentally conscious traveler and encourages sustainability. They tend to have a background in the environmental studies but can come from all walks of life. While solar is now on par with the cost of fossil fuels, a full transition from fossil fuels to clean energy will likely take decades. Energy efficiency and conservation will remain important for slowing climate change and reducing energy dependence during this transition. Energy efficiency also just makes financial and logical sense, both for now and going forward. The earth wastes nothing, and neither should we. We make our businesses and industries much more efficient by following this example. Energy managers help determine the best ways to conserve energy on existing and future projects. Environmental Public Relations Specialists put together PR campaigns and implement pollution education programs in their communities. By working on public outreach, Environmental PR Specialists ensure that the public and local businesses are aware of all environmental regulations, their importance, and the consequences of ignoring these regulations. 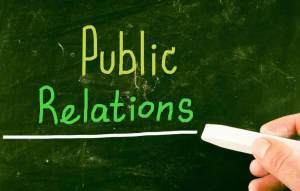 Environmental Public Relations Specialists generally work in offices and community events. Because of the comprehensive nature of this position, a background in hazardous waste management or environmental law may be desirable, as well as the ability to analyze complex data and communicate effectively with others. Geophysical Engineers are responsible for studying potential mining sites, determining what valuable resources may be located there, and then designing the safest and most efficient way to extract those resources from the site. They may also inspect currently functioning mines with the goal of increasing productivity or safety. Typically, they will do this by utilizing advanced equipment and software. More experienced Geophysical Engineers may manage teams of engineers or scientists. Most spend their time working in remote areas studying potential mining sites, but others may work primarily in an office environment. Most people wishing to enter the profession must begin by obtaining a bachelor’s degree from an ABET-certified program and gaining official licensure. Though others go on to earn a master’s degree in their field, many Geophysical Engineers advance in their positions by accumulating work experience. Geoscientists examine and study the way the earth functions. These scientists spend the majority of their time in the field collecting samples, taking data, and examining the geographic features of a site. The samples and data are then brought back to the lab and examined, helping the scientists come to a conclusion about the site. The exact nature of the work differs depending on their place of employment. It’s important to note that most Geoscientists work for oil and gas companies and are hired to find where plentiful deposits of natural resource deposits may reside. Most of these scientists hold a master’s or doctorate degree, which allows them to perform specialized research. 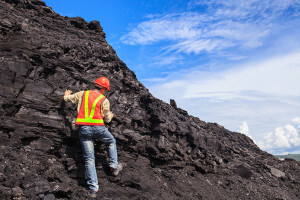 Though a bachelor’s degree may help an aspiring Geoscientist obtain an entry-level position, advancement typically requires further education and possibly licensure. Hydrographic Surveyors use advanced equipment on survey vessels to gather various data points for map-making purposes. These maps may serve a multitude of purposes, such as safe ship navigation or pipeline planning. Hydrographic Surveyors spend a great deal of time doing fieldwork, sometimes spending multiple days out to sea or gathering data on a particular coastline. In addition, this position has a lot of potential for travel overseas. Most Hydrographic Surveyors work for private mapping or engineering services. In-house training and work experience is incredibly important for this position. 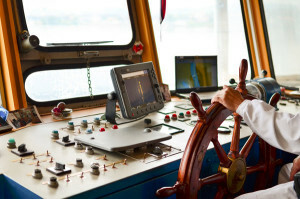 In fact, many Hydrographic Surveyors only possess a high school diploma. However, moving on into a mapping technician position may require further education. Do you enjoy drawing and designing? 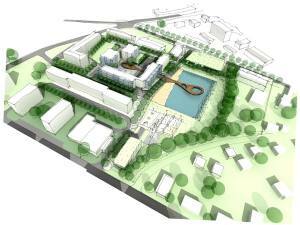 Do you like the idea of creating buildings and other structures to improve landscapes and people’s quality of life? If you are creative yet practical, landscape architecture could be for you. The actual term landscape architecture became common after 1863 when Frederick Law Olmsted and Calvert Vaux designed New York's Central Park. 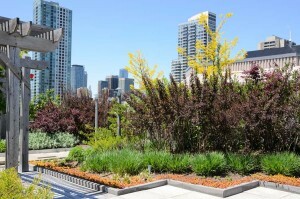 Today, landscape architects work all over the world on large city and small community projects. Landscape architects blend science and art, vision and thought to understand how the environment works and determine how to deal with the increasingly complex relationships between the built and natural environments. Nuclear Engineers are responsible for numerous tasks depending on what kind of industry they enter. Many are involved in designing the advanced machinery used to run nuclear power plants and complex medical equipment. They may also operate and monitor the functioning of this equipment, ensuring that everything is done according to procedure and within safety standards. Some Nuclear Engineers work in offices, while others work in an industrial setting or laboratory environment. To become one of these specialized engineers, you must obtain a bachelor’s degree in nuclear engineering from an ABET-accredited university, then accumulate professional experience and obtain licensure. Advancement is often achieved through work experience. However, entering the field of nuclear research requires a master’s degree. Oil fuels our cars, our industries, and our societies, and likely will continue to do so for the next few decades. Natural gas development is opening up new, cleaner domestic energy supplies. Energy production in the U.S. is booming, meeting 83% of demand in 2013. Petroleum engineers contribute by making production and extraction less costly, more efficient, and safer for people and the environment. They increase domestic energy supplies and contribute to the country’s energy independence. Petrologists are a specific type of geologist that specializes in understanding the origin, makeup, structure, and distribution of different rocks. They are often hired by private mining and oil companies to figure out the best way to extract precious minerals and other natural resources from certain kinds of rock. Universities and museums may also hire them to study and analyze different kinds of rocks for scientific purposes. These scientists split their time between collecting samples in the field and utilizing complex technological equipment in the lab. The number of positions in Petrology and other geosciences is expected to increase by 16% in the next ten years because of the world’s increased need for natural resources. All of these scientists require at least a bachelor’s degree to enter the field, though many go on to earn master’s degrees and even doctorates as well. Are you technically minded? Do you enjoy scientific testing and analysis? Would you like to work partly in the outdoors? Soil conservation technicians assist soil conservationists in the implementation of complete resource management system plans. They are also responsible for surveying, designing, engineering plan preparation, and construction inspection. A lot of soil conservation technicians work in agriculture with local government or land developers. Sunlight is one of the cleanest and most abundant of all energy sources. It rains down on us each day, and much of it goes untapped. Given the current energy crisis, and the multitude of problems with our current dependence on fossil fuels, demand for solar energy systems it is growing. The technology has been improving, and costs have been dropping. While the sun doesn’t always shine everywhere, advances in energy storage will likely minimize this issue in the near future. Meanwhile, demand is rising. If you like the idea of helping pioneer the clean energy economy, solar engineering can be a rewarding career. Sustainability Program Coordinators are vital for the design, implementation and logistics of an organization’s sustainability program. They work with stakeholders such as decision-makers, the public, service users and those responsible for putting plans of action into practice. Their skills are practical, requiring a broad knowledge of sustainability issues but with an understanding of the processes of business decisions, costing, human resources and the organization’s scope also. They thrive on problem-solving and enjoy the planning process. Sustainability Specialists are part of a growing need for government and corporate sustainability. Their tasks are practical, devising ways of saving money and suggesting schemes to move the organization forward with its green credentials. They may be responsible for procurement or suggest those who are into replacing fleet vehicles with electric models. 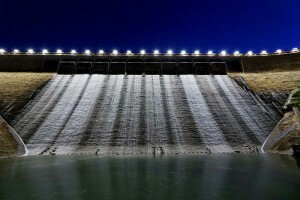 They have the potential to save millions in operating costs through reorganizing utility supply and encouraging good practice. They may also be involved in outreach activities such as local clean up. 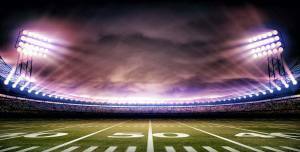 Turf Scientists are educated ground keeping specialists that maintain huge expanses of grass across the seasons. 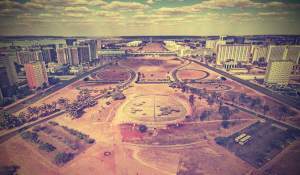 Some of the areas they maintain include playing fields, public institution lawns, and many other buildings. They often perform various landscaping tasks and sometimes oversee a team of grounds keeping workers to ensure that the turf thrives all year. Turf Scientists are required to work outdoors in all weather conditions and likely engage in a great deal of hard labor if they work alone. Most Turf Scientists must have a Bachelor’s degree in plant sciences to be successful in this position. Water resource engineers function similarly to that of environmental engineers, but with a specialization in hydrological systems. 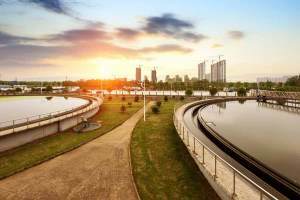 Water resource engineers are primarily concerned with the management and assessment of both the quantity and quality of above ground and below ground water sources. This can range from a more ecological approached modeling and supporting the natural flows of water to diverting natural water flows to regions which are more drought-stricken. Water resource engineers may also be heavily involved in disaster mitigation during flash-flood or coastal hurricane type events. 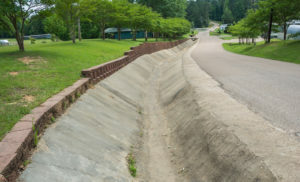 The day-to-day activities of a water resource engineer may be designing water flow systems, supervising construction, developing plans, or communicating water related concerns to third party stakeholders. Water is one of society’s most precious natural resources, and with the high levels of drought apparent across the globe today, a career as a water resource engineer is an important one. Typically, water resource engineers are trained as civil engineers, but must also have a strong and deep understanding of fluid-dynamics. For more information on a career as a water resource engineer, the American Academy of Water Resource Engineers (AAWRE) is a good additional resource. Every one of us, no matter where we are, cannot survive without water. More than simply access to water, we need access to clean water. We need systems to take away dirty water and clean or treat it and we need a good, constant supply of fresh water for our health and the environment. Watershed Managers are responsible for the management of all water supplies – not just sewage and waste water, but effective drainage, flood mitigation and other water rights and ecology. Watershed Science Technicians are professionals that often work in water or wastewater treatment plants under the authority of a local government. This important profession assures that the citizens of the United States have clean water to consume and drink, and also guarantees that our wastewater is properly treated and disposed of. Watershed Science Technicians must often work in noisy, unpleasant industrial environments that have high occupational hazards compared to other professions. However, the salary is reasonable considering the relatively little amount of education required. This is the perfect position for the detail-oriented, analytical, and hardworking. Wetlands are places where water is near the surface or covering the soil for the majority of the year. They are found in both coastal areas and inland flood basins. Wetland specialists study the conditions that allow animals and unique plant life to thrive in wetlands and the factors that affect wetland health. 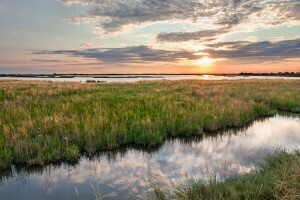 Suburban sprawl combined with global warming have magnified the problems of declining wetlands. As wetlands are present on every continent except Antarctica, qualified wetland specialists are needed around the world. A job as a wetland specialist would be suitable for anyone who would like to work outdoors, travel abroad and make a real difference to the preservation of the world environment. Wind turbines have very sleek geometric designs. But while they appear to be simple, a substantial amount of effort goes into the materials, mechanics, and electronics used to make them. Creating and installing a single wind turbine is a significant challenge; constructing efficient wind farms that involve networks of turbines is still more complicated. 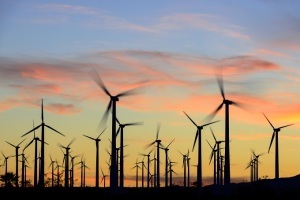 Wind energy engineers are the experts who design and improve wind farms. Their work is moving this small but growing clean energy sector forward. Zoning Technicians assistant Land Use Planners by investigating current building and zoning laws to assure that current land plans are legal, safe, and environmentally friendly. They do this by examining building plans and comparing them with current public policies. They also perform many office-oriented tasks and spend the majority of their time in an office environment. Many Zoning Technicians possess Bachelor’s degree and go on to pursue Master’s degrees. However, an associate’s degree is also acceptable when paired with 2-3 years of hands-on experience in a related field.